Once common on the chopping block in childhood, tonsils are making a comeback in modern mouths. After all, those oval mounds of tissue are one of your body’s best lines of defense. But even the best bodyguards can get inflamed. 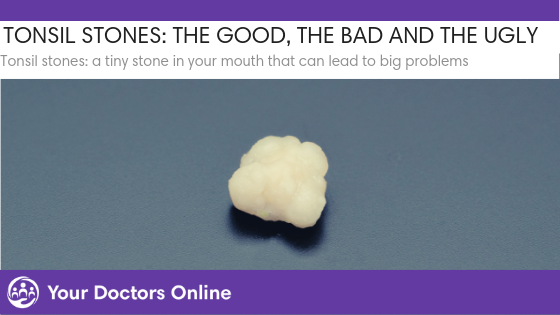 Check out our guide to keeping your tonsils healthy and whether or not your sore throat can actually be contagious. Tonsils are the small oval mounds of flesh that live on either side of the back of your throat. While many people may have had their tonsils removed in childhood, they do serve an important purpose it your body. 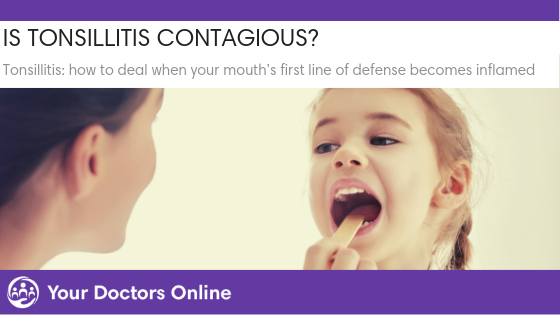 Tonsils act as one of the first lines of defense for your immune system. These glands act as part of the immune system to filter out bacteria and viral organisms that enter the body through the nose or mouth. Unfortunately, even this line of defense is not immune to these viral or bacterial organisms. When your tonsils become infected they can become inflamed. This is called tonsillitis. Similar to infections of the throat, most of the illnesses are caused by a viral organism. Viral infections include cold and flu (influenza) and do not require antibiotics in order to heal. It is important to recognize the distinction between the two because viral and bacterial infections need to be addressed quite differently. Waking up with a familiar painful sensation at the back of the throat is often a first sign of illness. But how do you determine what type of infection you have? A sore throat is often the first sign of an oncoming cold or flu. When the painful symptom is associated with this type of virus is it often short-lived and fairly mild. You will also notice that the sore throat will be replaced by other cold and flu symptoms such as a cough or runny nose. Viral infections will often resolve on their own without any medical intervention. This is one reason why it is important to learn the distinction. Viral infections respond best to rest and home remedies and most often do not require a trip to the doctor’s office. This is good to know since you are at your most contagious two days after contracting a viral infection. Americans experience over 1 billion colds each year and public places, such as doctor’s offices, are hot spots for viral organisms. Different viruses affect the body in different ways. In general, when you have a sore throat associated with a viral infection you are likely to experience one of more of the following symptoms. On the other hand, bacterial throat infections do require antibiotics. The most common bacteria to cause a bacterial infection is Streptococcus pyogenes, or group A streptococcus, which causes strep throat. An easy way to self-diagnose a bacterial infection is to ask yourself two questions: have you had a fever in the last 24 hours and do you have a cough? These questions fueled a study that aimed to marry the answers to the two questions with real time numbers of infections in the area to develop a self-diagnosing app. While the technology has yet to be realized, the study was able to produce overwhelming results. In the study 90 percent of patients shown to be “low-risk” based on the test questions also had negative clinical strep test results. One of the reasons for the test accuracy is because bacterial throat infections, such as strep throat, do not cause a cough. The presence of a cough is an easy way to determine that the sore throat is caused by a viral infection. While a fever may be present in a viral infection, it is always present in a bacterial throat infection. By asking yourself these two questions, you can save yourself unnecessary trips to the doctor’s office. Worried about your throat pain? Chat with one of our doctors for free. Another clear indication of a bacterial infection is the amount of pain caused by the condition. A sore throat associated with a viral infection is usually short-lived and mild or moderate. A sore throat caused by a bacterial infection can be severe. Tonsillitis is caused when your tonsils also become infected and inflamed. 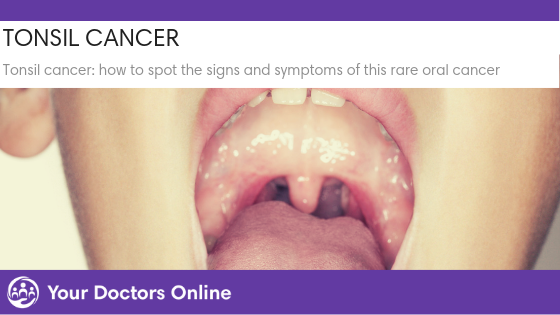 When examining the throat, a doctor may notice that your tonsils have become swollen, red or have white dots on them. Staph infections can also occur in the throat. While this type of infection is often associated with the skin, it can also affect the tonsils. In fact staphylococcal bacteria (the type of bacteria that causes staph infections) is classified among the deadliest of all disease-causing organisms since the 20th century. This type of bacteria could be living inside your nose or on your mouth right now. While not all people all carriers, this type of bacteria lives 20 to 30 percent of healthy people. You may be a constant carrier of this bacteria, an intermittent carrier or it may never reside on or in your body. When this type of bacteria enters the body, it creates its trademark abscesses under the skin’s surface. When it is found in the throat, these abscesses often form on the tonsils. Often these abscesses will fill with pus and intermittently burst, further spreading the infection. What is the Difference between Strep Throat and Tonsillitis? Erupting abscesses can further spread the infection inside your mouth, but you can also spread the infection to others around you. 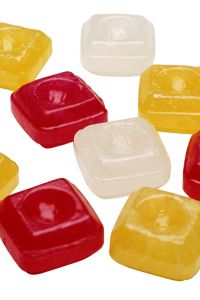 Tonsillitis is spread by direct contact with an infected person. When a person with tonsillitis coughs or sneezes respiratory droplets will be carried in the air and can infect those in the approximate area. If the tonsillitis is caused by a viral infection, the individual will be contagious for about 7-10 days. When tonsillitis is caused by an untreated bacterial infection the individual could be contagious for up to two weeks. If the tonsillitis is caused by a bacterial infection, the person will likely stop being contagious after being on antibiotics for about 24 hours. At this point it is likely safe for the person to return to school or work. While viral tonsillitis will resolve itself without any medical intervention, bacterial tonsillitis requires antibiotics. If you suspect the latter it is important to speak to your healthcare practitioner. Diagnosis tonsillitis is very similar to strep throat. 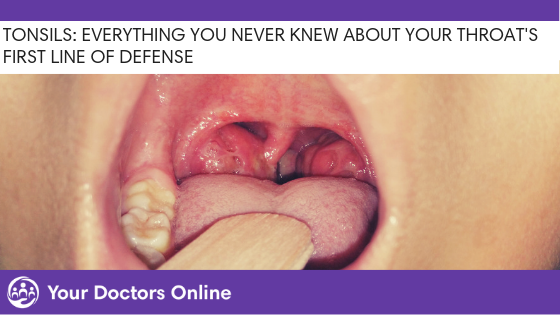 Your healthcare practitioner will examine your throat and tonsils to look for signs of inflammation or infection. They will likely check the glands in your neck and jaw area to look for signs of swelling as well as take your temperature. A throat culture may be taken to check for signs of strep. Many quick strep tests can report results quickly. 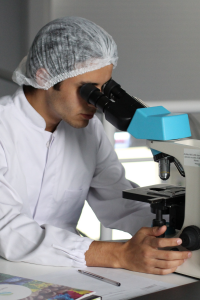 A negative result may require further lab examination to determine what organism is causing the symptoms. Unlike a viral infection, bacterial tonsillitis will require a round of antibiotics to help the body heal. While you may feel better about 24-48 hours after beginning antibiotics, it is important to finish your entire dose. 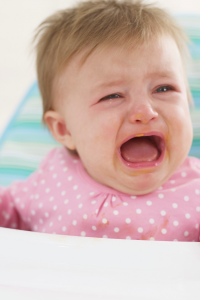 Practicing good hygiene and self care can be a great way to prevent illnesses and infections such as tonsillitis. Should you consider a tonsillectomy? Learn more about the procedure here. Illnesses can strike at any time. Put the power of a physician in your pocket by downloading the Your Doctors Online app. This free app allows you to connect with a real doctor 24 hours a day, seven days a week. Imagine the peace of mind you can experience by speaking to a doctor about your medical concern. Know the best course of action for your ailment. 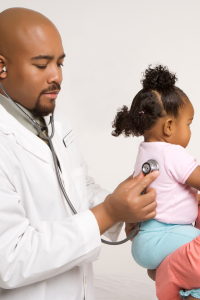 Avoid unnecessary trips to the doctors office and save yourself time and money.